Bio: Spanning decades, Tony Scott’s career has found him responsible for groundbreaking information technology developments at global companies. At Marriott, he developed microcomputer based forecasting, labor management, and scheduling tools, and later went on to hold executive roles at Sun Microsystems, Price Waterhouse, and Bristol-Myers Squibb. As Chief Information Officer managing corporate-wide IT at The Walt Disney Company, his major accomplishments included upgrading the company’s infrastructure, development of enterprise-wide risk management and cybersecurity functions, and ensuring company-wide compliance with regulatory and risk issues, including PCI and Sarbanes-Oxley. Later, as the CIO of Microsoft, Scott was responsible for all aspects of the company’s information technology organization, including Microsoft.com and partner-facing websites. He managed internal business application development and support, infrastructure management, IT service delivery, operations risk management for the company, cybersecurity, and technology support for field services. In 2013, Scott joined VMware in Palo Alto, California and was responsible for Global IT, Real Estate and Workplace functions, and Security. Abstract: Why you should move to IPv6 now and how you can get an IPv6 block from ARIN. Explore current IPv6 adoption trends by taking a look at how many networks have an IPv6 block, how many networks are routing IPv6, and how much traffic is using IPv6. And last but not least, find out how you can get a reserved IPv4 block from ARIN to help in your transition to IPv6. Bio: John Curran is the President and CEO of the American Registry for Internet Numbers (ARIN), responsible for leading the organization in its mission of managing the distribution of Internet number resources in its geographic region. He was also a founder of ARIN and served as its Chairman from inception through early 2009. John’s experience in the Internet industry includes serving as CTO and COO for ServerVault, which provides highly secure, fully managed infrastructure solutions for sensitive federal government and commercial applications. Prior to this, he was CTO for XO Communications and was integral in leading the organization’s technical initiatives, network architecture, and design of leading-edge capabilities built into the company’s nationwide network. Mr. Curran also served as CTO for BBN/GTE Internetworking, where he was responsible for the organization’s strategic technology direction. He led BBN’s technical evolution from one of the earliest Internet Service Providers through its growth and eventual acquisition by GTE. Abstract: This presentation will focus on real-world examples from an enterprise IPv6 address plan, taking time to review the principles of proper address planning for the existing corporate IT network as well as exploring options for addressing emerging network technologies like IoT, containerization/microservices, and cloud. Bio: Tom Coffeen is the author of O’Reilly Media’s IPv6 Address Planning as well as the Chief IPv6 Evangelist and a Distinguished Architect at Infoblox, the market leader in DNS, DHCP and IP address management (DDI) and network automation solutions. At Infoblox, Tom is focused on the articulation of effective IPv6 adoption strategies as well as IPv6 adoption trends for customers, potential customers, and the public media. Prior to joining Infoblox, Tom was the VP of network architecture at the global CDN Limelight Networks where he led their deployment of IPv6. Tom brings twenty years of network engineering and architecture experience to his role at Infoblox. Abstract: For the past 10 years T-Mobile have worked towards creating an IPv6 environment and we are now getting very close to our goal. Stephan will present some learning on how to successfully enable IPv6-only using DNS64 with or without 464XLAT. He will do a live demo of the different IP interfaces on an Android handset. Finally, he will discuss and give some best practices on how to handle DNS, applications, and websites that are having issues with DNS64. Bio: Stephan Lagerholm is an experienced networking thought leader who designs, builds and operates large and complex networks. He has experience in a wide array of network technologies with a deep expertise in DNS. Stephan is currently employed at T-Mobile where he leads a team of network and DNS architects. Previously, he managed the team responsible for DNS at Microsoft, as well as held senior leadership positions at Secure64 Software Corporation. In 2008 Stephan co-founded the Texas IPv6 Task Force with Stan Barber, and he served on the board until 2014. Stephan holds a Master of Computer Science degree from Uppsala University, Sweden. Abstract: Cloudflare serves 1.4 trillion web pages across its network every month to 2.5 billion Internet visitors. This talk will give a view of IPv6 stats from Cloudflare’s edge to answer the question who and what is pushing IPv6. Bio: Dani is on the product strategy team at Cloudflare. Before CloudFlare, Dani founded Hackers of NY, was an intern on BuzzFeed’s product team, designed infographics for Young&Rubicam, and spent half a year on the Ogilvy team in Shanghai, China. She also spent time in Bhutan with a team using drones to transport medical supplies. Abstract: Cisco’s Enterprise engineering team, in collaboration with the Cisco IT team (Known within Cisco as the IPV6 transformers), took the lead in converting one of Cisco’s buildings, building 23 (known internally as “The v6 Island”) in San Jose to an IPv6-only network. Building 23 houses more than 500 employees with at least two devices per person. This translates into more than 120 access points and 20 network devices (Wireless/Switching/Routing). The Cisco IPV6 transformers are here to share this exhilarating journey to roll out the first IPv6-only building in the industry servicing the typical daily business traffic of a large enterprise. Beyond the excitement, it had been a Herculean effort to make sure that critical services were migrated with minimal disruption. Bio: Loghs Srinivasan is an Engineering Director at Cisco’s Enterprise Networking Group, responsible for delivering outcome based Solutions for Enterprise Customers. Some of the key solutions delivered by Loghs’ team are Network as a Sensor, Network as an Enforcer, Easy QoS, DNA-Campus Fabric and IPV6-only Solution for Enterprise. Loghs is passionate about creating a Customer-First Culture and is deeply involved in ensuring Cisco’s products and solutions deliver good customer experience. He is also the BU executive sponsor for 5 large enterprise customers in Media, Webscale, healthcare and technology fields. Loghs has 18+ years of extensive experience in networking (Cisco, Ericsson, Juniper, and Tellabs) in multiple facets of product development: Development, Release Engineering/Operations, Release Management, Feature/System Test, Solutions Design/Test, Automation Tools and product maintenance. Loghs believes in leveraging the power of Cisco’s internal enterprise to improve customer experience for Cisco’s Enterprise customers. Together with Cisco IT, his team has developed an alpha network to deploy and harden Enterprise Wireless/Switching/Routing/Security Products and Solutions within the IT production network prior to release. Recently Loghs’ team together with Cisco IT team, pioneered transition of an entire building’s IT network (Routing, Switching, Wireless) to a Single stack IPV6 only deployment. Bio: Mei is a Sr. Manager at Cisco Enterprise Customer Solution group, where she works on end-to-end solution validation for Cisco’s large enterprise customers across financial, healthcare and technology sector. During her time with Cisco for the past 17 years, Mei has served various roles in software development, black box/white box testing, solution design, validation, and deployment. Mei’s technical focus is on Enterprise WAN and Campus. Currently, her team is part of Cisco DNA solution validation and deployment, prior to that, Mei was responsible for system testing of Cisco iWAN solution. Mei has led various IPv6 projects including IPv6 Branch Cisco Validation Design, IPv6 world Day in 2012 and IPv6 launch at Cisco. Currently, her team is validating and deploying IPv6 only network solution for multiple web scale enterprise customers, Mei and team earned the name of cisco-ipv6-transformer by successfully transforming a Cisco office building to IPv6-only network using Cisco routing, switching and wireless gears. This is the first IPv6 building in Cisco occupying 500+ users. Bio: Travis is currently the Manager of Cisco’s Global Infrastructure Services – Early Technology Evaluation team, a group targeted at designing, building and running infrastructure that hasn’t been labeled “business as usual” just yet. Prior to his current role, Travis was a lead engineer on the same team specializing in Cisco Datacenter technologies and Campus/Access Network architecture. He has worked in depth on Cisco switching platforms using IPv6, virtualization, and convergence in the network and streamlining IT processes to affect faster change. Within the ETE team, Travis helped deploy Cisco’s World IPv6 Day offering as well as a number of PoCs and special event networks leveraging IPv6. 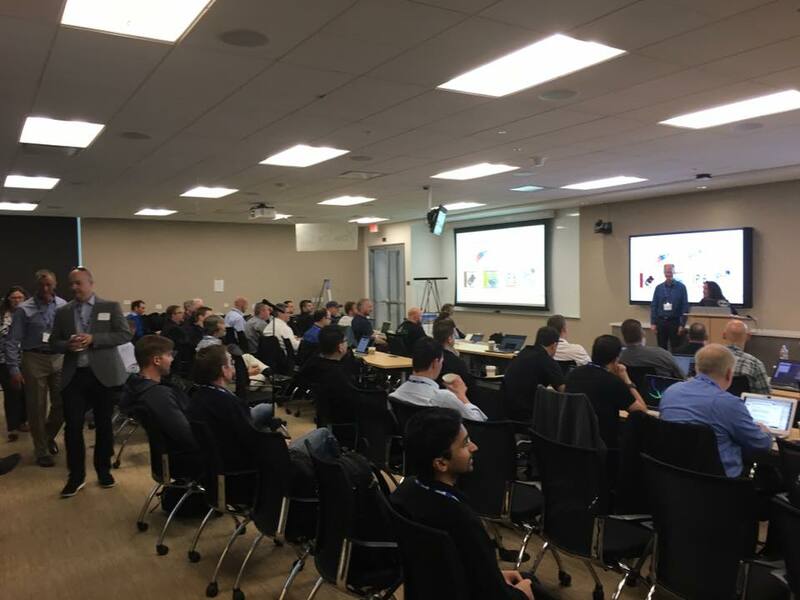 Recent highlights include a partnership with Cisco Enterprise Customer Solution group to re-implement the IT networks in an entire Cisco San Jose campus building to IPv6 as well as design and build-out of an IPv6 only Enterprise VPN solution. Travis is most interested in technical and organization challenges that unsettle areas that have aged passed well-worn into comfortable. Abstract: IPv6 plays a foundational role in the rapidly maturing world of IoT and digital transformation. This presentation will examine IPv6 use case examples in IoT environments and the unique challenges posed by constrained networks. We will examine the core IPv6 building blocks for IoT, including 6LoWPAN, RPL, and network management protocols, as well as applications of the various IPv6 address management strategies. We will look at how to overcome some of the most common IPv4 to v6 NAT issues by utilizing MAP-T, as well security best practices for IPv6 IoT endpoints. Finally, we will examine how Cisco has deployed some of the largest industrial IoT networks in the world using IPv6. Bio: Rob Barton, CCIE #6660 (R&S and Security), CCDE 2013::6 is a Principal Systems Engineer working in Cisco’s Digital Transformation and Innovation organization. Rob is a registered Professional Engineer (P.Eng) and has worked in the IT industry for over 20 years, the last 17 of which have been at Cisco. Rob Graduated from the University of British Columbia with a degree in Engineering Physics where he specialized in computer and radio communications. Rob’s areas of interest include wireless communications, IPv6, IoT, and industrial control systems. Rob is also a published Cisco Press author and currently leads Cisco’s innovations programs in Canada. Abstract: LinkedIn has been following the depletion of IPv4. It put its first application – mail – on IPv6 in 2013, followed by the website and API in 2014. We then looked internally and saw we would also run out of IPv4 there. Yes, really! It was time to act. Since 2015, we have been on a long journey to convert our data centers to IPv6. This journey is not finished, but we will show you the milestones achieved and what it really means to deploy IPv6 @ scale, everywhere on everything. Bio: Franck Martin has been postmaster at LinkedIn from 2011 till 2017. He spent nearly 20 years in Fiji where he worked extensively with 20 or so Pacific Islands countries. He was trustee at the Internet Society 2006-2009, members of the Pacific Islands and San Francisco Chapters. He has deployed a few ISPs in Tuvalu, Fiji and Samoa as well as established two ccTLDs dot KI (Kiribati) and dot NR (Nauru). He has worked on the DMARC.org specification, deployed it at LinkedIn and he is promoting email authentication technologies and policies. He is currently working towards building an IPv6-only data center at LinkedIn. He is also active in the alternative electronic music scene in San Francisco. He has released several electronica albums under his name. Abstract: This presentation will cover the journey that Networking team in Microsoft IT took from an IPv4-only to Dual-Stack network. However, the team is not stopping there as this Dual-Stack is only IPv6 half-done. Our team aims to go IPv6-Only and I will share some details of this new exciting direction. I will also include differences in challenges that Enterprises face versus Service Providers. Bio: Veronika McKillop works as a Network Architect in Microsoft IT. She leads the Enterprise IPv6 efforts with the long-term goal of moving all corporate services to IPv6-Only. Prior to joining Microsoft, Veronika worked in Cisco as a Consulting Systems Engineer in the Global Service Provider team. Veronika chairs the UK IPv6 Council which she founded in order to bring the technical, business and government community together and progress the IPv6 deployments in the UK. Bio: Dr. Holder has over twenty-eight years’ experience in the IT industry in senior technical and management posts. He is currently the CEO and chief consultant at Erion Ltd, the world-leading IPv6 training, and IPv6 consultancy company. In his role at Erion, Dr. Holder has had over nineteen years’ experience providing IPv6 consultancy to leading global organizations worldwide. He has assisted organizations to develop IPv6 strategies, enable IPv6 in their products, create IPv6 address schemas and deploy IPv6. His experience covers all major networking and operating system platforms. Clients include Alcatel Lucent, Arbor Networks, Atos Origins, Brocade, BT, Dell, Ericsson, HP, IBM, Sony and Sophos. He is the author of white papers, solution guides, books and training courses on IPv6 and related topics. Recent papers include two published by the UK telecommunications regulator Ofcom on IPv6 and CGN. In addition to his role at Erion, Dr. Holder is active in promoting IPv6 both in the UK and abroad where he is a regular speaker at IPv6 related conferences. He is the chairperson of the IPv6 Task Force Scotland, founder of the IPv6 Future Enabler conference and is a regular speaker at Global conferences on IPv6. Dr. Holder has a Ph.D. in High-Frequency Semiconductor Physics and an Honors degree in Electronic Engineering. He is a Chartered Engineer, a Fellow of the Institute of Engineering Technology and a Member of the IEEE. He holds several industry qualifications. Abstract: More and more enterprise and service provider environments are deploying IPv6 within their Clouds due to extreme IPv4 address exhaustion. IPv6 support in various private and public Cloud platforms range from zero-to-hero. Bio: Shannon McFarland, CCIE #5245, is a Distinguished Engineer at Cisco and is focused on Containers, OpenStack and Cloud network design. He has authored many technical papers, Cisco Validated Design guides, a contributor to Cisco Press books and is a frequent speaker at Cisco Live and other industry conferences. He has co-authored a Cisco Press book titled “IPv6 in the Enterprise”. Shannon has been at Cisco for 17 years. Abstract: An overview of the NASA IPv6 effort will be provided that includes status, accomplishments, and challenges. Additionally, an overview of the Federal IPv6 effort will be provided that includes successes, approaches, and next steps. Bio: Kevin Jones has a Bachelor of Science in Electrical Engineering and Computer Science from the University of California at Berkeley and a Masters in Systems Management from the Notre Dame De Namur University. Mr. Jones has been working for NASA for over 22 years. He has supported numerous IT projects: Getting the Internet into the classroom with the Ames K-12 Internet Initiative, upgrading the Ames LAN with ARCLAN 2000, supporting advanced networking challenges for customers with high-performance network requirements such as High End Computing with the NASA Research and Engineering Network (NREN) and serving as the Ames acting Deputy CIO during a six-month detail assignment. Kevin was named NASA’s IPv6 Transition Manager in October 2010 and has since provided pivotal leadership to both the NASA and the Federal IPv6 initiative first as the Fedv6 Outreach Co-Chair and now as the Fedv6 Vice-Chairperson. Additionally, he leads the Ames Internet Exchange and is the agency lead for the e-root server system. Abstract: Infrastructure (network, back office, provisioning), cloud, content and more all required support for IPv6 (only) to support next generation entertainment, applications, and services. A proven technology leader John has been the driving force behind Comcast’s IPv6 transition and deployment since the program began in 2005. His accomplishments and success leading Comcast’s IPv6 deployment are recognized around the globe. John’s tireless efforts continue as he advances the adoption of IPv6 across all of Comcast’s infrastructure and services. He leverages his expertise and experience to drive the adoption and implementation of IPv6 in the real world and at scale, ensuring that innovative solutions are in place to support traditional and next generation services. His pioneering work has had significant impacts not only within Comcast but also across the entire cable industry and beyond. He has and continues to be instrumental in encouraging the adoption of IPv6 across the broadband, content, and consumer electronics ecosystems. Bio: Owen DeLong is currently a Senior Network Architect at Akamai. He also occasionally provides IP-related consulting and training services to other organizations. Owen has been an IPv6 Evangelist and Director of Professional Services at Hurricane Electric, a Senior Backbone Engineer at Exodus Communication before working at Tellme Networks and Netli in both Network Engineering and Operations, a consultant (C2 Company), and Senior Operations Architect at Vusion, Inc.